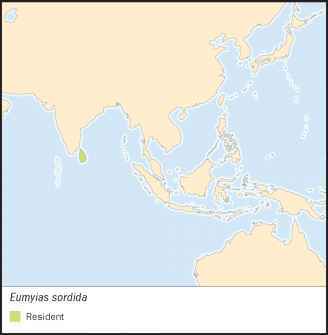 English: Dusky-blue flycatcher; French: Gobemouche de Ceylan; German: Ceylonschnäpper; Spanish: Papamoscas de Sri Lanka. The body length is about 6 in (15 cm). The sexes are colored alike, having an ashy-blue back, head, chest, and tail and a whiter belly. The forehead is a brighter blue color, and a black line runs forward from the eyes. The juvenile is more spotted. Occurs at the edges of forest and woods and in shady gardens. Occurs at various altitudes, but most abundant at 3,950-6,000 ft (1,200-1,830 m). A nonmigratory species. Pairs of breeding birds defend a territory. The song is a series of six to eight clear notes. Catches flying insects by an aerial sally from a low perch. Often returns to the same perch. 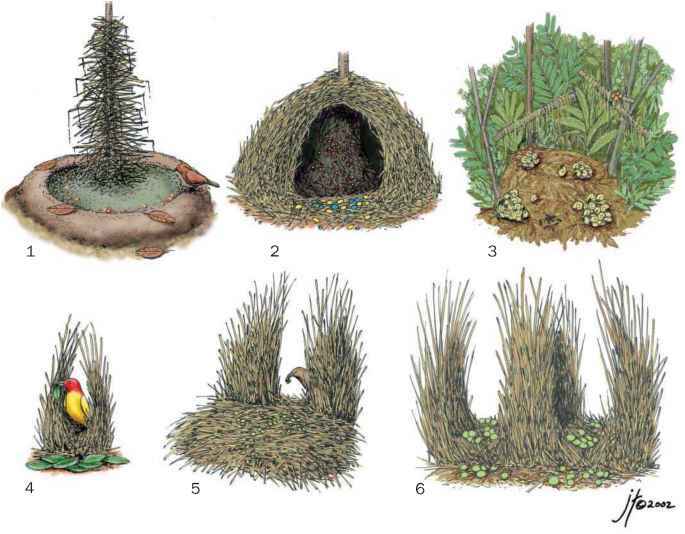 Nests in forest or woods, where a cup-shaped nest made of mosses and other fibers is placed close to the ground on a ledge, in a rocky crevice, or in a shallow tree-cavity. Endangered. An extremely local and rare species that only breeds on the slopes of a single, active volcano. Its population is declining because some of its habitat is being lost to the development of subsistence agriculture, commercial plantations, logging, and invasion of disturbed areas by non-native shrubs. Its critical breeding habitat must be protected. An endemic species of Sri Lanka, but locally abundant and not threatened according to IUCN criteria. However, its forest habitat is rapidly being lost.